"Two filmmakers set out on a journey to help President Obama get elected. Although facing many hardships along the way and not having everything they needed, they never seemed to be short on HOPE. Omar Tyree, a 2001 NAACP Image Award recipient for Outstanding Literature in Fiction, and a 2006 Phillis Wheatley Literary Award winner for Body of Work in Urban Fiction, has published 16 books and has sold nearly 2 million copies worldwide. Recently Tyree landed his first non-fiction book deal with John Wiley, the number 1 business publisher in the world. “The Equation: Applying the 4 Indisputable Components of Business Success” is being released in January 2009. He also penned a children’s book called, “Twelve Brown Boys” targeted to young urban youth. 'YES WE CAN - COLLEGE' by Qasim Basir was an inspirational video targeted to young voters during the 2008 Presidential Election campaign. It received over a half million hits on YouTube and help to rally thousands of young voters to help elect the 44th president of the United States, Barack Obama. The filmmaker will receive the 2009 Memphis BWC Inspirational Documentary Film & Filmmaker Award on Saturday April 25 @ 8:00 pm during the Literary & Artistic Awards Ceremony. FEATURING FILM PREMIERE: STAY TUNED FOR UPDATES! Jack A. Daniels is an Entrepreneur, Author, Therapist and Speaker who helps men and women of all ages better themselves in hopes of reaching their full potential. His focus is creating non-intimidating settings for people to vent, cry, laugh and share their joys and disappointments in both life and love to heal and restore the brokenness many people carry with them. He recently released his first book, “The Man’s Handbook for Choosing the Right Woman: Understanding Our Relationship Rosters and What Makes Men Afraid of Settling Down.” It has been heralded as a great tool to help men get over their fear of commitment, gain a greater understanding of themselves and how the women that come into their lives can help them become the boyfriends and fathers they are destined to be. His upcoming book releases, "I Need a Wife…Where are the Real Black Women?” and the “The Power of the Pause,” are also certain to facilitate healthy discussions. Valencia Mackie has 9+ years in the commercial real estate industry as a Portfolio Analyst, Real Estate Manager, Assistant Real Estate Manager, Real Estate Office Manager and Assistant to VP of Real Estate. God laid upon her heart to write the '10 Commandments for Dealing w/Landlords - What U the Commerical Tenant May Not Know?' and it is a very informative tool for the commercial tenant to build a strong foundation upon in their relationship with the Landlord. 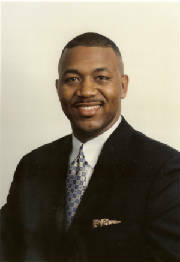 Leon Freeman is author of the book entitled, 'Unbelievable Experiences of an African American World Traveler. Mr. Freeman has traveled to more than 62 countries on five continents. 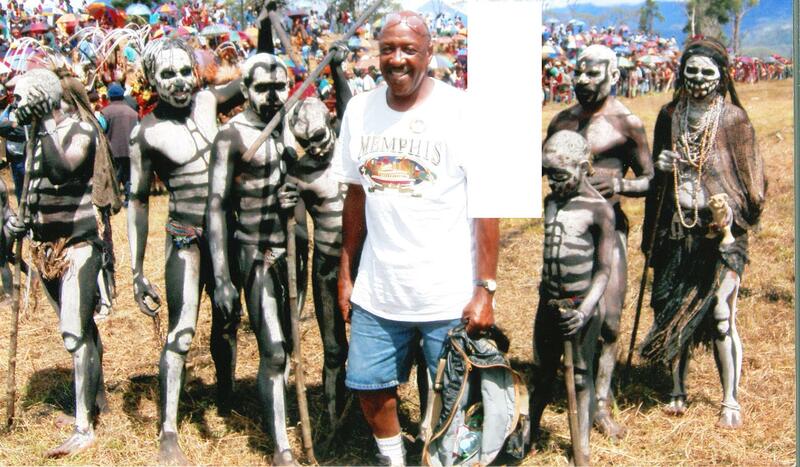 Mr. Freeman was featured in both Ebony and Jet magazines on his travels to Papua New Guinea in 2002. He is a a retired teacher from the Memphis City School system and the President of the Usher Board at Rev. Al Green's church, Full Gospel Tabernacle. Mr. Freeman will be honored with the 2009 Memphis BWC BEST AFRICAN AMERICAN TRAVEL BOOK AWARD on Sat. April 25 8:00 am -10:00 am Prayer Breakfast Awards. Keith Norman is the Pastor of First Baptist Church on Broad Avenue. He is the former Chairman of the Shelby County Democratic Party and played a significant role in the election of President Barack Obama. Also, he is a member of the Memphis Baptist Ministers Association, NAACP, National Baptist Convention of America, and The More Excellent Way Foundation, Inc. He is the past state president of the Tennessee Baptist Missionary and Education Convention and currently serves as the Dean of Christian Education for the Greater Memphis Sunday School and Nurture for Baptist Churches Congress. 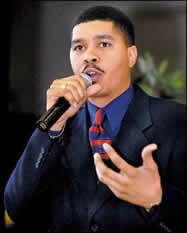 Pastor Norman will be the keynote speaker at the 2009 Memphis BWC Prayer Breakfast Awards on Saturday April 25 @ 8:00 am. Pastor Al Green's Full Gospel Tabernacle Choir will also perform at the Prayer Breakfast. 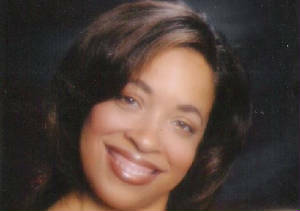 Valerie L. Coleman founded the Pen to Paper Literary Symposium in 2004. In 2005, Coleman co-founded Write On! Workshops. These workshops are geared towards the novice writer. 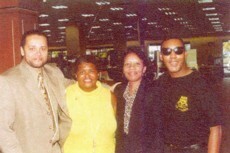 In May 2006, Coleman took her writing and publishing curriculum to the prisons. In addition, she developed a writing program for high school students. Under her tutelage, students learn the art and business of writing with the objective of completing a novella. Coleman hopes to incorporate scholarships from accredited institutions as the pinnacle of the Passionate Pens program. 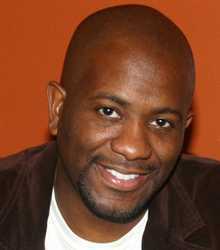 Marvin Butler is a 1980 graduate of Melrose High School in Memphis, TN. 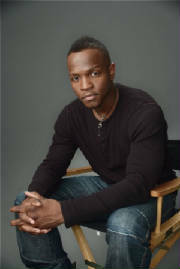 He attended State Tech Institute (now Southwest Tennessee Community College) where he obtained an A.A.S. degree in Electronic Engineering Technology. After years of being self-employed in the lawn business, he decided to follow his passion for writing and singing realizing that it is never too late for you to follow your dreams. He has completed his children’s book, “Mr. Organic Recycle from A to Z” and a musical CD entitled, “Mr. Organic Environmental Songs for All Ages.” This has been the most fun he’s had in years stating that having a love for something and then actually doing it is rewarding and fun for everyone involved. The art drawings were done by his older brother Kelvin Butler who is a graduate of the Cleveland Institute of Art in Cleveland, OH with graphics provided by David Butler, also a graduate of Melrose High School in 2002. The three have combined their passion and come together with the first of a series based on Mr. Organic and other environmental topics. Debra Savage wrote the book, "Caregiver's and the Baby Boomer Generation" for caregivers who are overwhelmed, discouraged, or feel burnt out. Every question that you have asked about this subject will be addressed in this book. Debra is an on air radio announcer and can be heard every Saturday morning from 9-11 CST, on AM 1480 WBBP. Her show is entitled "The Saturday Morning Brunch" (You can also tune in live at www.bbless.org). 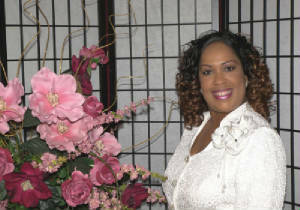 Debra ministers to her listener's through information, inspiration, empowerment, and praise & worship music. 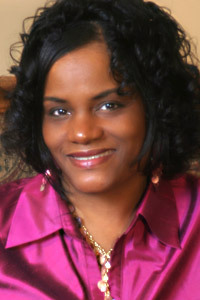 Dorinda D. E. Nusum is the author of four Christian fiction novels; Sins and Sacrifices, The Victory, Afflicted, and The Back Pew Crew. From the onset, she has always enjoyed reading and writing. Trapping herself into a literary world was her favorite pass-time. Those who know her best will attest to the fact that she was rarely seen without either books or papers and a pen in hand. The author holds a B.A. degree in English and Sociology and an M. Ed. in the Leadership of Educational Organizations. She began her teaching career in the public school system, but has been an educator of incarcerated youth for the past eight years. For more on Dorinda D. E. Nusum, visit the author at MySpace (www.myspace.com/novelistnusum), on FaceBook, or contact her at dorinu@hotmail.com. Madelyn Harvey is a native of the Island of Bermuda and a licensed social worker who has worked a number of years in the area of child welfare. Her book, No Pain, No Gain, reflects some of the issues related to children who have been abused and neglected. Each rhythmic piece has a corresponding spiritual message which is hoped to provide inspiration and hope to children who have experienced similar situations. Harvey is a graduate of Indiana State University where she obtained a B.S. in Child Development and Family Life and a M. Sc. in Agency Counseling. Harvey is currently pursuing a Ph.D in Clinical Social Work through Walden University in Minneapolis, MN.